We arrived in Maastricht on a Sunday afternoon, the official mooring quay was all filled up so we went to a location next to the bunker ship. We moored up close to the barges selling weed and a large (former) factory occupied by squatters, a fine spot, no noise or goings on. Michel left for Amsterdam and I went to recon Maastricht together with Panache. It was fun because the Maastricht Uitmarkt (music and theatre throughout town) took place. We stayed in Maastricht for another few days and were pleasantly surprised to come across the Sinclus, a barge that was moored next to us in Groningen, the owners also working very hard on a conversion. We had not seen them since and found out that they had been taking the same itinerary as we had, only a few days behind us, some coincidence. Thursday, September 15th we tanked up with water at the bunker ship, bought a coil of rope and some items. The owner was quite surprised that we had not been visited by the police, because apparently we had moored on a quay were it was forbidden. The barges that had been moored behind us were indeed sent away. I did see the police, we even waved at each other friendly, but they never said anything. Special treatment apparently. After spending a night at Torn, the white village, we set sail for the Zuid-Willemsvaart. Because of an appointment with some relatives we wanted to be in Beek en Donk on Saturday, which implied making miles on the Zuid-Willemsvaart. We thought we’d make a long day because there are very few mooring spots in that canal, which was alright for once. It turned out to be such a long day that we had to pass the last bridges in the dark, which was quite an experience as we had not been sailing with the lights on (tunnels apart). The picture of the signpost, this trip I took pictures of all signposts, could only be made when Michel turned the spotlight on. The reason for the delay was – again – the engine stalling spontaneously. We were lucky enough to be able to get to a quay and after lots of calls to the man who installed the engine and the importer of the engine the decision was made to remove the solenoid (stopping magnet) that was at fault. So now we have to go down to the engine room to stop the engine by hand instead of using the switch on the dashboard, until a new one has been fixed. Not very practical, but no big problem for our last leg. After all, we are almost in Haarlem. After a pleasant stay in Beek en Donk we went to den Bosch. It turned out to be just as well that we had not gone there on the Sunday as ‘s-Hertogenbosch Maritiem took place that weekend. The town had been stuffed with boats, many of which had been coming our way when we came close on Monday; we would not have fitted in. The harbour for passing ships was still filled up, but there was a quay where we could only get up on a ladder, not pleasant but very quiet and a nice spot. We were almost neighbours to the old Verkade factory, now converted to a movie house and theatre. We grasped the opportunity and went to see the latest Woody Allen pic and a play by Orkater; wonderfull! 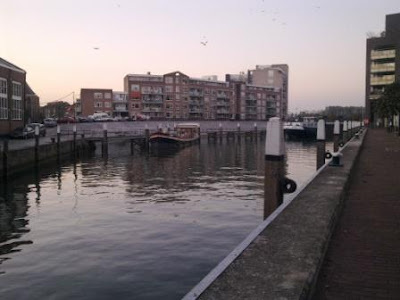 In den Bosch we talked to the harbourmaster and a man from the council – the Water Expert, really his official title – to find out about winter moorings. Although all facilities are in place the moorings are not used in winter time, such a waste as we would love to spend a winter there, a real nice city. Now at least they will consider it. After den Bosch we planned to sail through the Biesbosch for a few days; on the trip going south we had done the western side which was no great success due to shallow waters and a lack of mooring places for us (laying at anchor is not practical when you still have to walk a dog in the evening). We left den Bosch on Sunday, excellent sailing conditions, nice barging but not so smart. The Biesbosch was crowded and there were an awful lot of small yachts that thought we were too big and in the way. There were a only few other big barges, the roomier mooring spaces were all taken but we did manage to find a nice spot. We have now decided that the Biesbosch is not our thing, unless as a through fare. When we left the Biesbosch we found ourselves back in known territory as the route back was mostly how we had come down. We spent the better part of a week in Dordrecht. Our barge is not “historically satisfying” enough to be granted a mooring for a prolonged period – winter e.g. - in the Wolwevershaven but we might get permission for the Riedijkshaven (very new and although almost in the centre set off with apartment buildings and not by beautiful historical buildings). So we tried out this mooring and we concluded: something to give a second thought. From Dordrecht we went to Schiedam were we both had never been. A village with a beautiful old centre and lots of windmills. We were moored right next to a mill that had been built the previous year. A sight to behold, with all the specially made bricks, curved and tapered. Schiedam still is genever-town, all famous brands are still there and there is a genever-museum (fun). In Schiedam we came across the first signpost that not only prohibited mooring but also the use of spud-legs. We are afraid that we will see more of these in the near future which is unfortunate because till now spud-legs were allowed were mooring was not, unless forbidden explicitly. Out last stop for the night was in Leiden and we arrived in Haarlem on October, 8th thus rounding off our itinerary. On the map below you can see the trip we made some 1900 kilometres, about 260 locks and over 400 times we had to be serviced (bridge or lock), covering some 325 hours motoring. Doing an average 5 hours barging per day it works out to 65 days sailing out of the 188 days that we have been on the move. It is nice to be back in Haarlem, we were heartily greeted by the neighbours and it felt a bit like coming home. 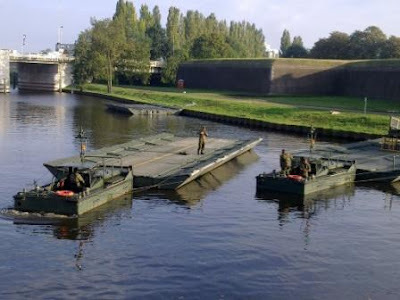 The Strontrace (manure rally) – barges that have to make the Makkum – Warmond trip without the use of an engine – went by already. Some of them poling underneath the bridge, others using their front-sail when the bridge was open, all of it very impressive. Our appointment book is getting cluttered already with fun (friends, theatre, concerts) and functional (dentist, GP) appointments and Michel is busy working on the ship. The pilothouse must be finished this winter and the starboard cabin has to be converted (this being just 2 items from a very long list of honey-do’s). Another important item is planning next years trip and updating our website. This will – for the time being – be my last blog entry; when the site is up to date and the itinerary is posted I will inform you. PS Save for one tomato-plant, there are still 3 tomatoes growing, the garden is winterised and filled with violets. We will get the outside lights up soon so we will have a festive look when darkness falls. Let winter come!